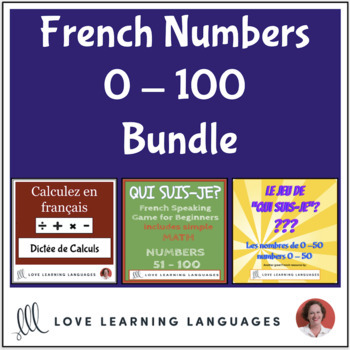 Activities to use and challenge your students in the French classroom when teaching French numbers 0 - 100. Simple addition, subtraction, division, and multiplication will keep them on their toes while thinking of the answers using French numbers! Save 20%. Perfect for French immersion and mental math!